Recognized for its creative, strategic work in social media. Sturges Word Communications recently received four awards at the Social Media Club of Kansas City’s annual AMPS Awards, a gold award in the email campaign category for its work with Faultless Healthcare Linen, two gold awards in the Facebook campaign category for its work with Cloverland Electric Cooperative and Faultless Healthcare Linen and a silver award in the integrated campaign category for its work with the Kansas City Club. For its work with Faultless Healthcare Linen (FHL), the leading healthcare linen-only laundry service provider in the Kansas City and St. Louis area, Sturges Word won two gold AMPS awards. FHL engaged Sturges Word in 2016 to execute a marketing strategy that would deepen relationships with current customers and leads by creating a digital touch point. Sturges Word created an email editorial calendar with healthcare linen specific content relative to its roles in cost management and compliance problem solving for its target audience. Email content focused on high-value topics such as cost management, infection prevention, crisis preparedness, community engagement and more. Sturges Word continues to develop and launch emails once a month. After sending 15 emails over one year, 99.995 percent of email subscribers were retained. In 2019, FHL engaged Sturges Word to find a new and creative way to fill two frontline positions, and because of high turnover rates, to create a database of qualified candidates to pull from when positions opened. Prior to this campaign, FHL posted available positions on popular job boards such as Indeed and Monster and relied on in-person applications, but that wasn’t generating results FHL was looking for. They wanted to use social media to increase the number of qualified job applications they received to both hire from now and save to refer back to when a positioned turned over. We learned that more than 80 percent of job seekers use Facebook regularly, versus the 14 percent who use LinkedIn. In addition, LinkedIn’s focus on resumes and thought-leadership inadvertently turns away many blue-collar workers, leaving those that hire for these positions at the crossroads of wanting to use social media to hire, but unsure as to which platform to turn to. After learning that the majority of our target audience was already comfortable using Facebook, we turned to Facebook Jobs to help FHL acquire at least ten applications from qualified leads and to build a library of applications that would enable them to quickly and efficiently interview. In just one week, FHL acquired 39 applications, costing only $0.10 a view! For its work with Cloverland Electric Cooperative, Sturges Word earned a gold AMPS award. Cloverland is a not-for-profit electric cooperative located in Michigan’s Upper Peninsula. Like many organizations, Cloverland Electric Cooperative had a social media presence, but they weren’t using it to their fullest strategic potential. They engaged Sturges Word Communications to craft a strategy that would help them better connect, communicate and engage with their member-owners and foster relationships. In a world where paid social rules, the Sturges Word team developed an organic social media strategy that consisted of community management and content development, complete with custom branded imagery. SWC focused on creating content themes for each month, reporting on each theme’s performance and optimizing the following month’s content with the learnings. Just one month into our plan, Cloverland earned a 115% increase in organic page likes, a 163% increase in total page impressions and a 468% increase in total engagements. For its work with the Kansas City Club, a new wedding and even venue, Sturges Word earned a silver AMPS award. Sturges Word was engaged to launch the Kansas City Club’s social media presence, which would include organic and paid content and the use of influencer promotion in conjunction with the grand opening event. Prior to this campaign, the Kansas City Club had only recently reopened as an event venue, and as a result, had very low awareness. Its social channels received slow audience growth, minimal engagement and content was not tied to strategic messaging. Sturges Word began to organically grow awareness for the Kansas City Club by revitalizing its social channels. SWC created a social media strategy that centered around consistent messaging that would position the Club as the clear choice for brides desiring an elegant yet modern event space. SWC then used that messaging to create an engaging and cohesive content calendar and also fostered additional engagement and audience growth by performing real-time social marketing. By commenting on photos of popular local wedding photographers and planners and pictures tagged with popular wedding hashtags, SWC was able to grow the Club’s following, engagement and impressions in just months. Fifteen days after the grand opening event, the Kansas City Club earned a 11.8% increase in impressions and a 21.4% increase in engagement. The awards, which recognize outstanding social campaigns from brands, nonprofits, governments and educational institutions in the Kansas City area, were presented at the AMPS award dinner on February 19, 2019 at Boulevard Brewery in Kansas City, Missouri. 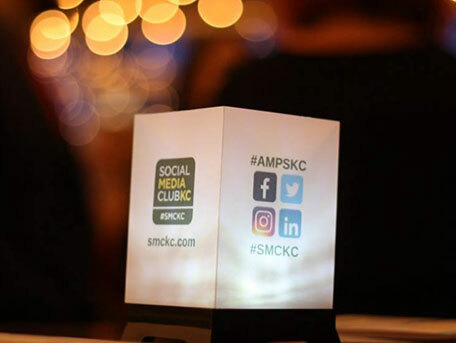 The Social Media Club of Kansas City (SMCKC) was founded in June 2008 to expand digital media literacy, promote standard technologies, encourage ethical behavior and share best practices. Now in its tenth year, SMCKC holds three-four events every month for professional development and networking. Events and speakers focus on various communications, industries, campaigns, events and topics.